Why start a Girls’ Respect Group? Middle school is a tough time for girls’ friendships. Sometimes, best girlfriends, the people who should respect you, don’t. Girls’ bullying & exclusion get steadily worse through elementary school. By the time she enters middle school, a girl’s self-esteem can be ruined. The importance of strong connections in girls’ relationships is precisely why it’s so hurtful to girls to be excluded from relationships, & why Girls’ Respect Groups work so hard to change that. The Dalai Lama talks about the need for warm-heartedness towards one another. A simple concept with profound results. Lead with a warm heart & the rest will follow. Respect helps us rediscover the warm-heartedness that is in all of us. We can make a big difference. Underlying all bullying behavior is a lack of both self-respect & respect for others. By catching girls early & teaching them respectful ways to support one another, we can help girls navigate safely through the perilous middle school years. 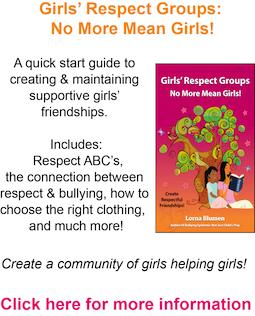 When girls know & respect one another as individuals & as human beings, there is much less intentional bullying. Further, if girls (& boys) can remain grounded in self-respect, they’ll feel more secure & more likely to treat others with respect – less bullying! Kids grounded in respect for others will also be less likely to be bystanders to bullying. 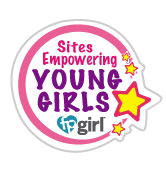 GRG gives girls the confidence & the safety they need to speak up & stand their ground! Girls’ Respect Groups are a beautiful opportunity for high school girls to reach a helping hand back to middle school girls – in support, encouragement, empathy, & mostly, with experience & perspective. It’s a chance for the high school young women to re-evaluate their own relationship with respect, too. We learn best by teaching, & it’s great for our teens to reinforce what they already know about respect. 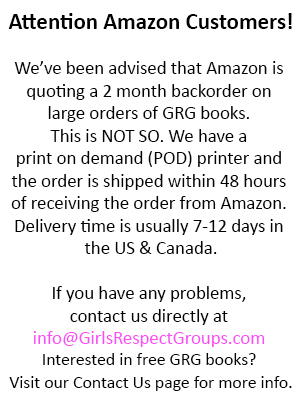 A small community of GRG girls can have a huge influence. Like ripples in a pond, GRG graduates walk the walk of respect and spread respectful behavior, with far-reaching effects in their schools, homes, and communities. Teaching & encouraging respect early makes a big difference. Join us in planting the seeds for change, by connecting with other preteens, teens, & adults who are working hard to encourage & support young women!